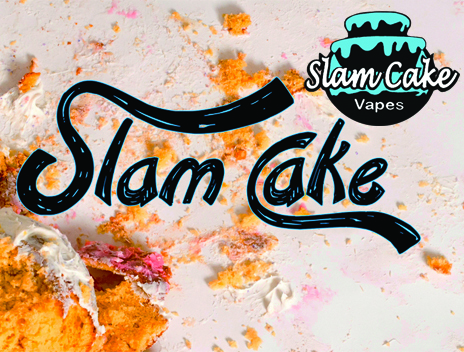 'Slam Cake' and 'Morning' by Slam Cake Vapes. Vape Hype in the UK stocks this e-liquid. You can choose from 30ml, 100ml, 240ml from USA and 30ml & 100ml in UK (Prices Vary) Average price for 30ml is £14 & 100ml for £35. * Morning: Morning-Feeling Nostalgia? Enjoy the most realistic rendition of your favorite fruity cereal all day. Take the bowl with you. * Slam Cake: Had enough of all the simple bakery flavors? They have taken the best of the best, and slammed them into one bottle. A flavor so good you will have a hard time putting it down. 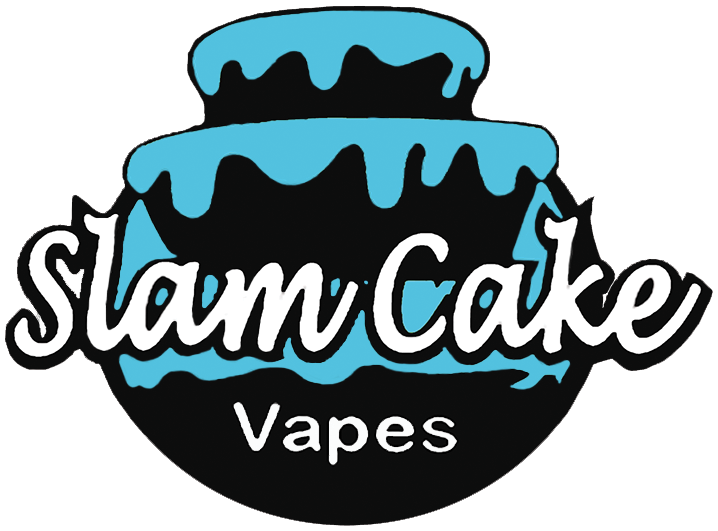 Slam Cake Vapes LLC is a growing e-liquid company in the heart of Texas. We have been working on our proprietary formulations and custom steeping process for the last 2 years. We believe in a high Vegetable Glycerin ratio. You will get a 70% VG to a 30% PG ratio. You can use this in any device. We only use the best of the best ingredients. Our work is done by small handcrafted batches. We prefer quality over quantity. One try of our delicious e-liquid and your taste buds will be slammed. Slam Cake Vapes is committed to being a leading provider of quality e-liquid. In achieving and maintaining this goal, we recognize that quality relies not only in our product but also in the service that we provide to our customers. In satisfying our customers’ needs we are rewarded by their good will and thus ensuring future prosperity. We have always and will always make our products in small batches. Never more than 1000ml to insure the best vape the first time, every time – consistent flavor is of the utmost importance. Had enough of simple bakery flavours? we have slammed the best of the best all into one bottle. - Think Skittles meets sponge cake, amazing. tooty fruity frosting and sprinkles..... There were hints of vanilla and maybe a touch of spice thrown in for good measure. On the Inhale, as my scent had determined beforehand, a very sweet buttery madeira cake drizzled with a sweet sugar based icing. Flavourful, with hints of a vanilla buttercream and sugar candy notes, but with an excessive amount of sweetness. I could taste a creamy cake batter flavour with subtle notes of almond lying behind the fruitiness. The balance of flavours were perfect, giving the juice it's profoundly sweet bakery flavour. On the exhale, a bold fruitiness left my palate, not a fresh fruit but more of a candied fruit, this being the skittles (Vape The Rainbow), followed by the same sweetness as on the inhale. The bakery flavour was at the end of the exhale, lingering on the palate for moments afterwards. Summary:- The juice is consistent throughout. It doesn't lose it's flavour and tastes clean. There is no harshness and the flavour is really quite nice. However, the only thing that spoils it for me is the amount of sweetness added to the juice. This e-liquid isn't perfect for everyone. You need to like your e-liquids to be extremely sweet to enjoy this one to it's full potential. Most of you who enjoy overly sweet dessert vapes will enjoy this one. Would I buy this e-liquid ................ Already have, but sadly It's not one for my palate. Would I change anything about it ................. Yes, the copious amount of sweetness. If some of the sweetness was removed this juice would be perfect. Vapour Production ............... Very good. ADV..................... No, not for me. It can become very cloying. Final Thoughts................... I enjoyed the flavours in this e-liquid, but the excessive amount of sweetener was too overpowering for me. and, feel free to take the bowl with you ! On opening the bottle, a Looper type aroma with hints of oats and citrus circulated in the air around me. Quite a bold scent and one you could smell before removing the lid. You could tell straight away this juice had a generous amount of sweetener added. On the Inhale, a Looperesque type flavour but much more subtle than the original Looper. Top notes of an overly sweet tangy lemon and lime citrus took precedence, which I'm not too keen on with other Looper style e-liquids. The citrus can be very overpowering. It wasn't fresh fruits I could taste, but rather candied fruits. It definitely had that oaty, wheaty cereal type taste with a creaminess at the top end of the inhale. A powdered sugar sweetness ran through the juice, making it extremely sweet on my palate. On the exhale, a sweet and creamy milkiness with a typical tangy citrus bite lingered on my palate. Extremely sweet with hints of ripened strawberry and sugar icing. It's a very powerful, sugar drenched cereal with a higher level of creaminess than any other. Summary:- This e-liquid is sweeter than any of the other cereal vapes I've tried. It shouts out quality, and has a very pleasant flavour, but at the same time it's very very sweet. I really enjoy my cerial type vapes and this one is very well balanced. I would say it was creamier than any I've had before, and definitely more sugary. Would I buy this e-liquid ................ Already have. I bought this as I enjoy my cereal type vapes but on this occasion it was far too sweet for my palate as I don't take sugar with anything. Final Thoughts................... A very nice cereal vape if it hadn't been too sweet. It's definitely not an e-liquid that will suit everyone's taste, but if you like creamier, sweeter cereal vapes then try it you won't be disappointed.